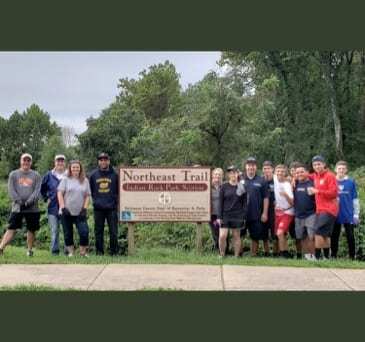 On Saturday, September 15, volunteers cleaned up Perry Hall’s Indian Rock Park, picking up copious amounts of garbage. Councilman David Marks organized the third such clean-up of the park, which stretches between Silver Spring Road and Ebenezer Road west of Perry Hall High School. This year, boost in support was provided by FC USA Soccer who provided several volunteers for the project.